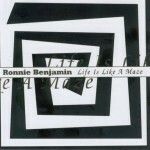 Although Ronnie Benjamin had previously released numerous albums on vinyl, this is the first CD from the father of Midnite's Ron and Vaughn Benjamin. 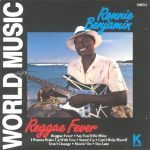 All of the instrumentation on Reggae Fever was played by Ronnie Benjamin who also did all the production work at his Sunburst Studio. Say You'll Be Mine 6. I Wanna Wake Up With You 7. Produced by: Sunburst Productions, Ltd.
Ronnie Benjamin, from the eastern caribbean island of Antigua, has been in the music business for the past 25 years. He has been involved in a variety of roles, including musician, singing artist, and songwriter. He is also currently the president of Sunburst Productions, Ltd., a musical recording and production company on the island, with its own 16 track recording facility. 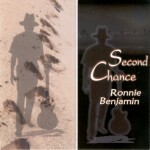 Ronnie Benjamin feels at his best on stage, and has toured throughout the United States and Canada. With his dynamic voice and energetic stage performances he has thrilled packed concert halls from coast to coast including Madision Square Guaran and the Hollywood Paladium. 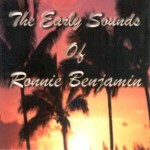 Ronnie Benjamin's music is a distinctive blend, using a combination of caribbean rhythms and rock. His first single released in 1980, with four subsequent albums since, have popularized his music throughout the caribbean and with visitors to the islands from around the world. This latest release is another fine example of his musical talent and songwriting ability.